QuickBooks hosting holds an important place in the lives of busy accountants due to the advantages and business ease associated with it. 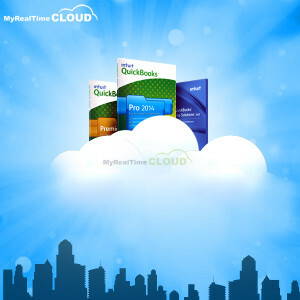 For the purposes of accounting and bookkeeping, QuickBooks is proved to be a splendid decision. However, the divergence of QB operation from the IT functionalities of the digital platform is what defines the level of accounting ease. QuickBooks hosting has so been the buzz-word in the industry but what exactly is it based on and how it works is still uncertain to some users. Is QuickBooks Online Accounting Really Comparable with Hosting? After purchasing the QuickBooks Online license, the application will be installed on client computer and a set of username and password will be provided to the user to login into the application and fetch the database located at the cloud. The type of data sharing between desktop computer and server is powered by cloud technology. The database will be created on the server and can be accessed by the users who are given the access by the administrator of the database. The functionality of this software is however limited. Hosting on the other hand offers an option to choose any version and edition of QB to be installed on the cloud. QuickBooks cloud hosting is nothing but keeping all your financial data at one central place and giving complete or restricted access to various users as decided by the administrator of the database. Any version of the software can be hosted on cloud including Pro, Premier and Enterprise. Clients just need to hold their licenses with which they can approach to any hosting service provider. The provider installs the software on his server and passes on the remote server credentials to the user who can later set up the access criteria and start using the services through remote access. The CPU processor having strength of 2.0 GHz would work fine. Higher version of 2.0 can work even better. 1 GB RAM for smooth running of the application without placing load on the processor. Hard Disk size can be varied as per the database size of the business. The range can start from 3.5 GB to unlimited level. QuickBooks hosting is compatible for Windows 32 or 64 Bits, for SP2 to SP3. Internet Explorer of all versions IE6, IE7, IE8, etc. will support the software. So, why stick to in-house server or QuickBooks Online when you can customize your plans with QuickBooks hosting? QuickBooks on the cloud saves huge investment, effort and provides bulk of features with instant setup and easy management.